The publication Being Poland: A New History of Polish Literature and Culture since 1918 (Będąc Polską: nowa historia polskiej literatury i kultury po 1918 roku) has been published by the University of Toronto Press. The initiators are Professor Tamara Trojanowska, director of the Centre of Drama, Dance , and Theatre Arts at this university, Professor Joanna Niżyńska from the Faculty of Slavonic Languages at Indiana University, Professor Przemysław Czapliński from Adam Mickiewicz University in Poznań, as well as translator and editor, Agnieszka Polakowska. "I describe the idea for this book as transoceanic. We tried to combine manifold discourses and different points of view, hence the invitation of colleagues from Poland and North America. We also have several European authors from outside Poland," said Trojanowska in an interview with PAP (Polish Press Agency). In 1956, an English edition of Professor Manfred Kridel's earlier work entitled Literatura polska na tle rozwoju kultury (“Polish Literature Against a Background of Cultural Development”) was published in the USA, in 1969 - the history of Polish literature written by Czesław Miłosz, and in 1978 - the English edition of Professor Julian Krzyżanowski's Dzieje literatury polskiej (“History of Polish Literature). As Trojanowska emphasised, these were compendia addressed to a different reader and written in a classic style. "Our book treats only about the last century, we have assumed that the present already belongs to history. Due to the production cycle, history was actually brought to the first decade of the 21st century," she added. 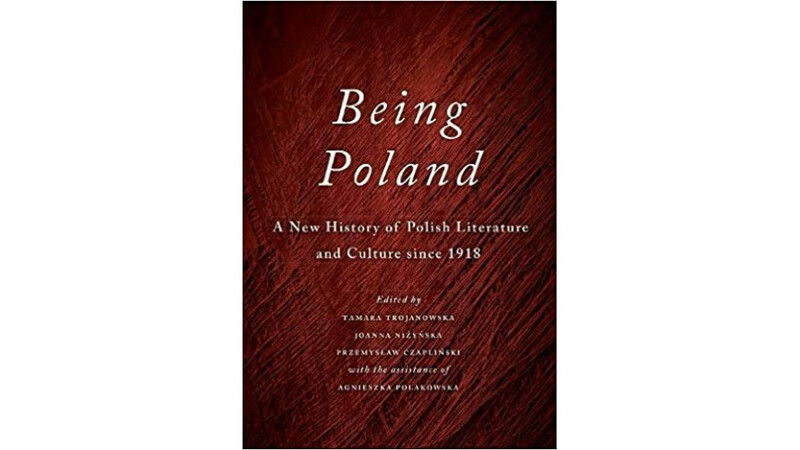 Being Poland... presents the history of literature and culture in a cross-sectional way, and its task is to describe long-term processes taking place in this field. It includes not only classic genres, but also essays, diaries, reportage, and film. The book is divided into four parts: Transitions (transformacje), Strategies (strategie), Transmissions (transmisje), and Genres and Their Discontents (gatunki i ich przywary). "We have decided to cover, in such a long-term cross-section, the three paradigms of Polish culture: Sarmatian, Romantic, and Modernist. These main paradigms are presented to the English-speaking reader in two voices. There is a both confirmation of the importance of a given paradigm, as well as a second voice which inscribes this paradigm into European or world culture," said Trojanowska. She stressed that plurality of opinions also means a constant dialogue. "It is also a dialogue of awareness. For example, Sarmatism and Romanticism are very strongly intertwined in Polish culture. We are trying to build a stable skeleton, to show the most influential attitudes and differences of opinion that shape Polish culture," she explained. The authors also referred to the role of translators, who place Polish literature in a context that is understandable for an English-speaking reader. As Trojanowska emphasised, translation is not only a technical transition from one language to another, and the translators somewhat create a new literary canon, to which Bożena Shallcross of the University of Chicago refers as "the transatlantic canon". and therefore this work begins to discover completely new meanings," she recalled. The book also refers to the Polish tradition of multilingualism, hence, for example, the partly Latin titles of two chapters. "Polish literature is in resonance with all European literature, not only because of its subject matter, but also because of its multilingualism," stressed Trojanowska. Trojanowska also pointed out that each culture has its own uniqueness, but different discourses must inter-permeate within the discussion. "This is what literature feeds on, this is how a rich reference network is created. We can show that Polish literature and culture constantly refer to what is happening in world culture," she added.